WEDDINC: To get things rolling today, we’d love to know…How did you get started in the business? TARA: Well, I’ve been enamored with beauty and fashion since I was 7 years old. During those early years, my father would buy me magazines such as Vogue and Bazaar, and as soon as I would get them, I would tear out my favorite looks and then create folders for each of them. In addition, my mother would have a professional Make-up artist come to our house to help her get ready for a galas or events. Every time the artist would come, I would run down the hallway, plant myself on the sink area and watch with excitement and curiosity. I would always ask the artist many questions, as I loved the beauty she created with the brush strokes and colors she used. As a child, I was never really into wearing make-up, however, I absolutely loved watching the application and transformation. WEDDINC: In your opinion how has make-up style changed over the last decade? 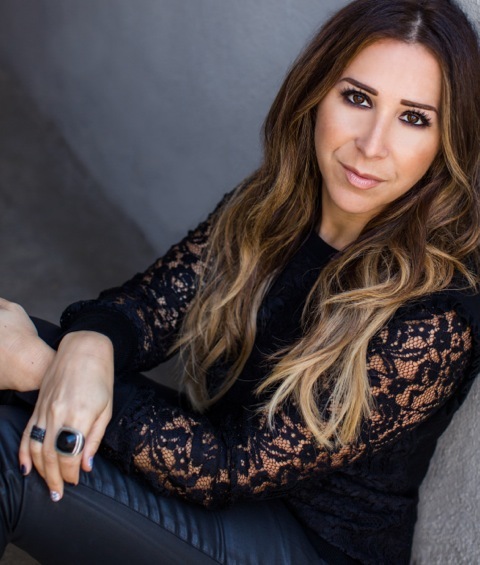 TARA: In the past 5 years, both celebrity personalities and Pinterest images have had a huge influence on the styles of make-up and the way my clients want to look. With so many avenues of social media, it gives us access to so many options, which has actually made our clients more savvy as to the products and details they want. Often times, they share several images with us, more than ever before. For instance, someone may find a current celebrity they like on Pinterest and newly discover the affect of contouring and hi-lighting the face and then specifically ask us for just that. Ironically we always use some form of a contour method in all of our applications, no matter how subtle or dramatic, whatever is best to enhance our client’s features. Having the various avenues of social media are wonderful, however, they can often confuse or overwhelm our clients with too many options, so we are always sure to help them focus and guide them on what look will suit them the best. WEDDINC: What gives you the most joy about your job? TARA: I genuinely love every aspect of my job, it is truly rewarding, fun and unique. What gives me the most joy is creating amazing relationships with our clients and all of the fantastic people that we are fortunate to work with. In addition, there is nothing better than giving my client the mirror when I finish taking care of them and see their reaction. I see the light in their eyes, this heir of confidence comes over them and they smile. To know that I had something to do with helping them feel their most beautiful self is everything. 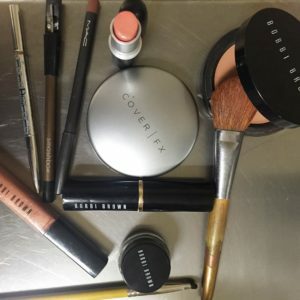 WEDDINC: What is your favorite makeup product? 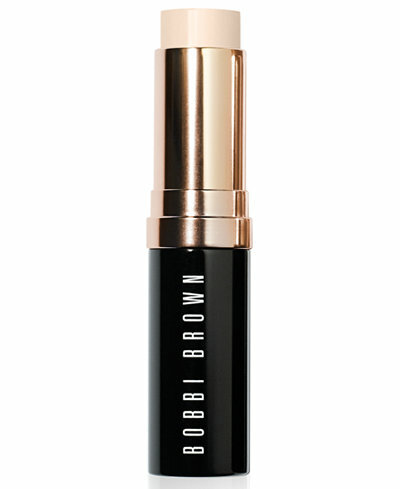 TARA: The Bobbi Brown Foundation Stick. I absolutely love love it. It’s the perfect consistency, as it is held together with beeswax and when it’s applied on well primed skin, it doesn’t look heavy and gives the face a gorgeous, even, glowing finish the looks both flawless in person and on camera. Great face make-up is about matching the skin-tone (try to match your decollate and then apply a bronzer if needed to give you a perfect match) and Bobbi Brown offers such a wide variety of skin-tone correct shades. Because the Stick contains skin-tone correct pigments, your face is left with a skin-like finish no matter how little or how much you use, as the consistency is build-able. 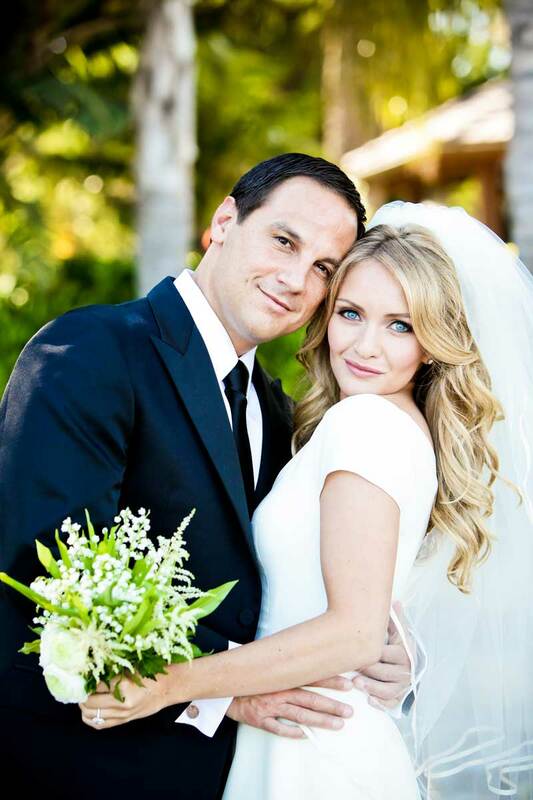 WEDDINC: What is your favorite brand of cleanser? TARA: I actually have two. 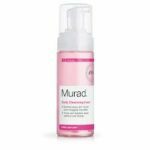 Kate Sommerville Daily Wash or Murad Daily Cleansing Foam. I find that neither of these cleansers strip the skin of it’s natural moisture, they clean the face and remove make-up very well, leaving your face feeling refreshed. WEDDINC: What is your favorite makeup tool?. TARA: I actually have two brushes that I love. 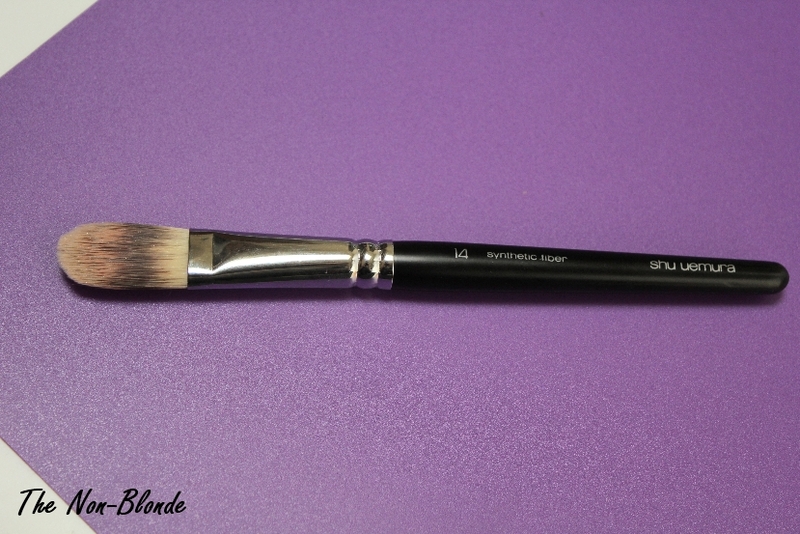 First, the Chanel Blending Foundation Brush #7. I use this brush to help give the foundation application an airbrush type finish without looking heavy or mask-like. My 2nd favorite brush is the Shu Uemura Kolinsky #11 eyeshadow brush, it truly applies and blends eyeshadow beautifully. WEDDINC: In your opinion, how important is it to have a facial prior to having your services and how many days/hours before? TARA: If you’ve never had a facial, I feel that it’s best for you to not doing anything too invasive (i.e.. extractions, intense skin peels, etc) the week of your wedding in case you have any bad reactions and need healing time. I am however a huge fan of having an oxygen facial that week, even the day of, for your skin to have a gorgeous glow. In addition, I recommend facial waxing to be done at least 3-5 days before your wedding day, again, just in case you have any reaction and Make-up tends to not adhere well as well on freshly waxed skin. Make-up can help even out redness or dark pigment on the face, however, it’s difficult to cover texture. TARA: We are like a family. I absolutely love my beauty team and I wouldn’t be where I am today without them, I am so grateful for each and every one of them. I tend to gravitate to old souls and they for sure have that nature. They are genuinely very loyal, kind, talented, professional and are calming yet have a great sense of humor. They are likable and easy and fun to work with. WEDDINC: What does a day in the life of Tara Dowburd look like? TARA: Every day is generally so different, I can be working with a bride on her wedding day or with an art director on a photo shoot. I could be taking my clients shopping for make-up/skincare/brushes or getting clients ready for a special event or a television appearance. That said, I’m all about balance in life so I try to do as few make-up jobs on Mondays and Tuesdays, so that I can meet with my Studio Manager to work on “behind the scenes” and also spend quality time with my friends and family. WEDDINC: Make-Up Therapy is such a great name. How do you introduce the therapy element into your service? TARA: Thank you, I chose that name for my company Make-Up Therapy, because it’s truly therapeutic for me when I am applying Make-up on my clients, it’s my “Zen” and clients have always told me that it’s a therapeutic experience to sit in my chair, saying things like: “I didn’t realize I was this pretty” or “you put me at such ease”. They would give me this heartfelt feedback and I would get choked up. The additional therapeutic benefit for our clients is that we always listen to them. It’s not about us it’s about them. The “listen” part is so important because we care what they think about what they feel, what they like and what they don’t like before we begin doing their Make-up and/or Hair. When our clients feel heard, they are then comfortable and relaxed and happy to be taken care of. WEDDINC: Having makeup applied is such a relaxing experience in and of itself. Do you find that people open up to you and tell you interesting stories or secrets that you can tell us without giving names? TARA: I’ll have to say that I have to keep professionalism, and loyalty to my clients and not really answer it directly out of respect to my clients but they need to trust me and I will say that they can and do maybe tell me TMI but I’ll always protect their privacy. WEDDINC: Are there any beauty product launches this year that you are super excited about? TARA: I love that Charlotte Tilbury is now available at Bergdorf’s and Nordstrom’s and will be going into Bloomingdale’s in Century City. I discovered her in Bergdorf’s this year in New York City. She has amazing products. WEDDINC: What is the one product every woman should have in her bag? TARA: I feel like it has to be two, if that’s ok. I couldn’t just pick one, the first one is a good pressed powder because it removes the shine and leaves a smooth finish on the skin and the second one is a good lip color. WEDDINC: What do you currently have in your beauty bag? WEDDINC: What are some of the most common beauty mistakes women make? TARA: Not putting on enough blush, using too much shimmer all over the face, going to heavy filling in the eyebrows and not using lip liner correctly (over-lining and under lining). WEDDINC: How do you prep your client’s skin? TARA: I make sure it’s hydrated properly and primed properly. Also that they are using the correct product for their skin. I tone their skin, moisturize it and use eye cream. The un-primed skin won’t last no matter what the brand. If the skin is not hydrated, even the best makeup will sit on the surface rather than the skin. It’s like priming a canvas for a painting. The art of makeup is really not much different than the art of painting is to a fine artist. WEDDINC: What would be the one best piece of advice you would give to someone who would like to get started in the business? TARA: I would say go work for a Make-up Artist brand, such as: Bobbi Brown, Laura Mercier, NARS, Smashbox or Charlotte Tilbury to get hands-on training- there is nothing like it. When you work for an Artistry brand it gives you the exposure to work with all skin types, all skin tones, all ages and all ethnicities and that is a priceless experience to help you feel confident and comfortable no matter who you are taking care of in your chair. WEDDINC: What are some of the personality traits you need to be a makeup artist? TARA: That’s a good question. You always want to like your vendors but you should be very comfortable with your make-up artist. She needs to be someone you could also go get a cocktail with too. She must listen to her client and be patient. If she’s not patient, everyone has a bad time. Someone confident, without an ego and calm at the same time, professional and not dramatic. Someone who wouldn’t put red lipstick on someone who doesn’t like red lipstick just because she like it. Someone who has a positive upbeat personality who is able to create an amazing experience for each and every client. 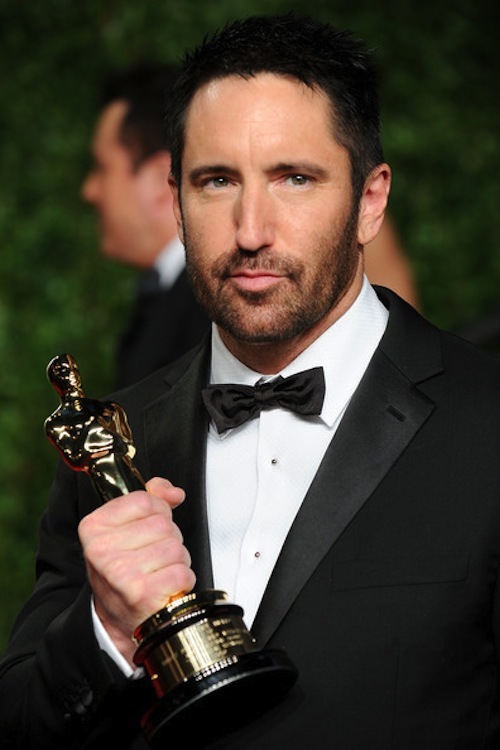 WEDDINC: You have an extensive portfolio of work – it includes bridal, celebrity, red carpet events, etc – which one is your favorite and why? TARA: That’s a tricky one. Honestly, I personally LOVE doing all of the above! I will say, however, when I do weddings I still get butterflies of excitement and as a company, weddings is the largest part of our business.